In Shakespeare's most ambitious play, toxic masculinity infects the kingdom on all sides while a love-sick Princess is propelled through Ancient Europe! 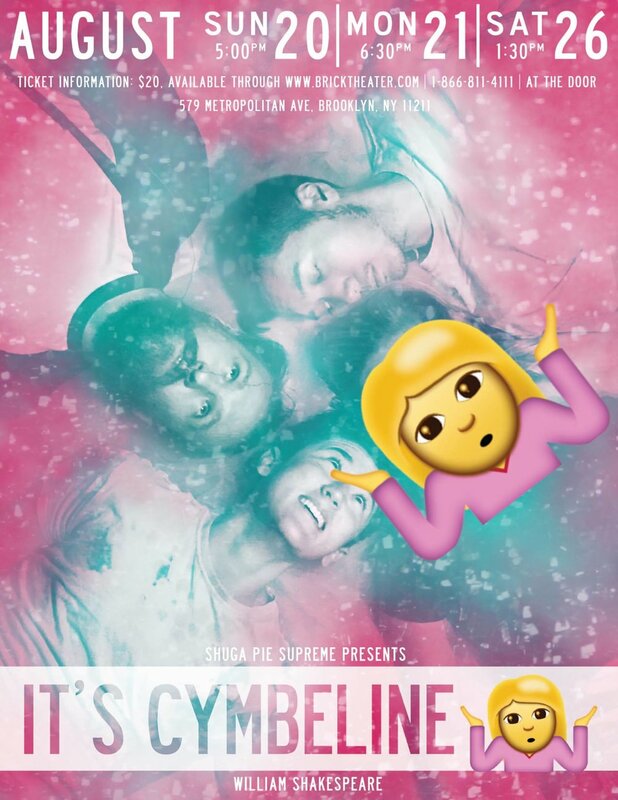 Shuga Pie Supreme's IT'S CYMBELINE ¯\_(ツ)_/¯ also tells the inspired-by-real-events story of a turbulent rehearsal process and a production that almost. didn't. happen. Adventure, forbidden love, drag, fabulous music, pupper royalty, delicious villainy, and full fantasy for the Gawds! It's Cymbeline 🤷‍♀️ was the inaugural production of Shuga Pie Supreme!